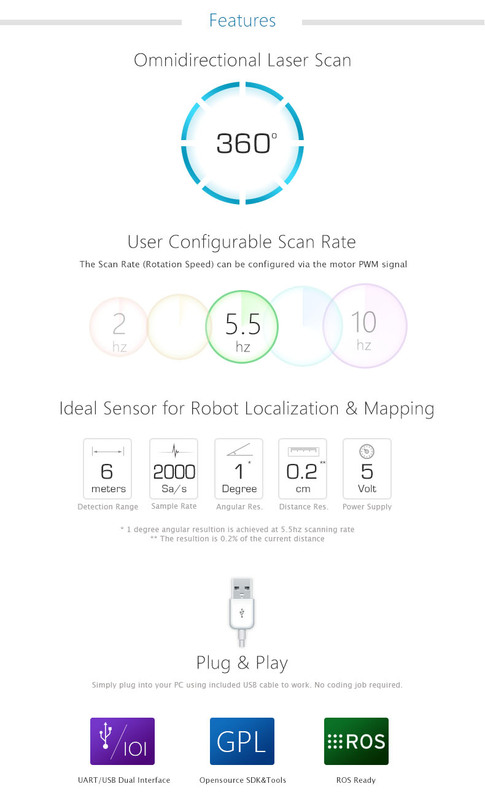 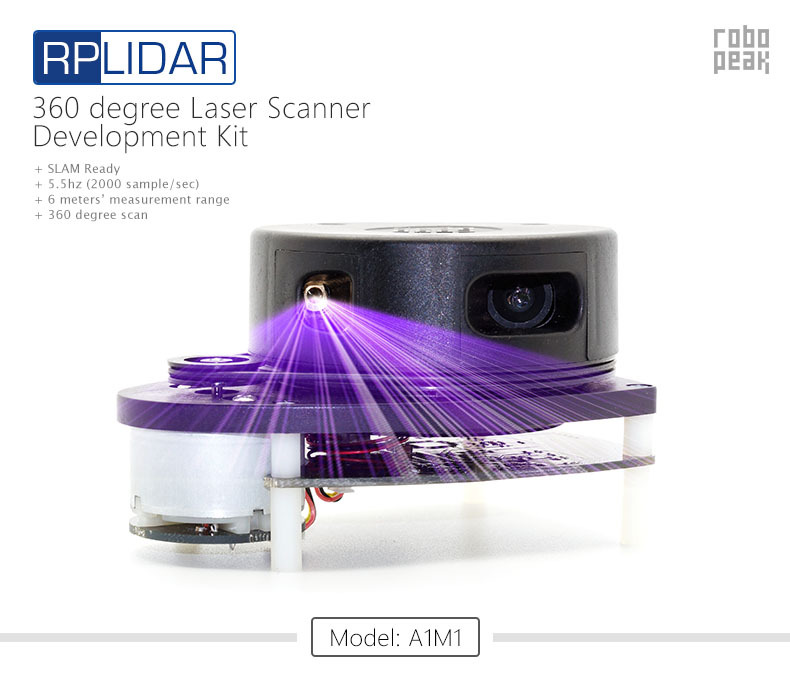 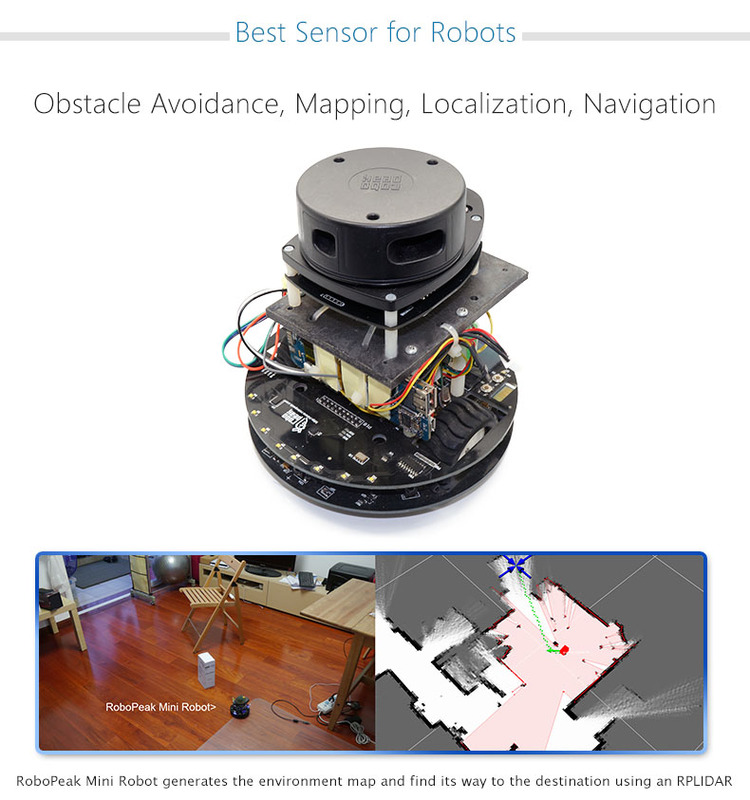 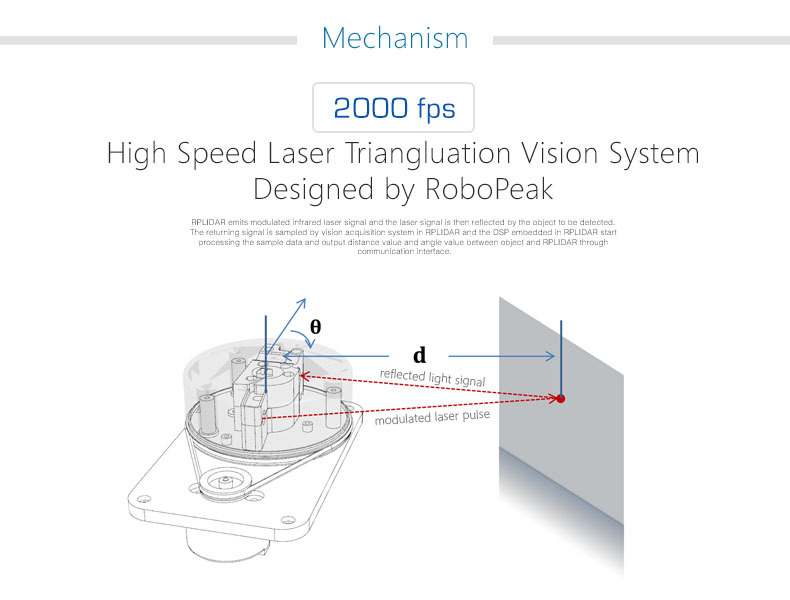 RPLIDAR - 360 degree Laser Scanner Development Kit is a 2D scanner with a 6 meter range. 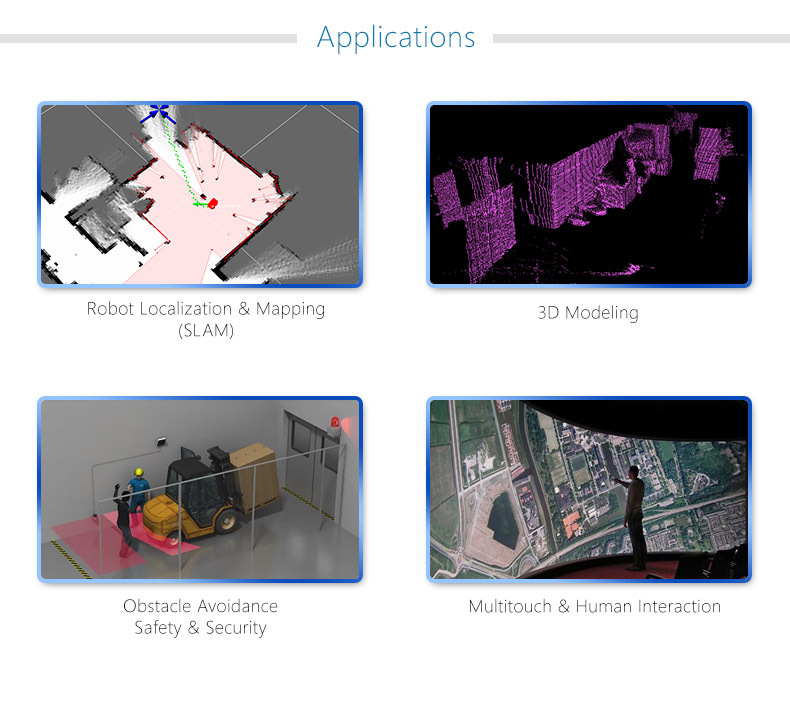 LIDAR stands for Light detection and Ranging .This tool is used for remote sensing to check the distance using laser technology. 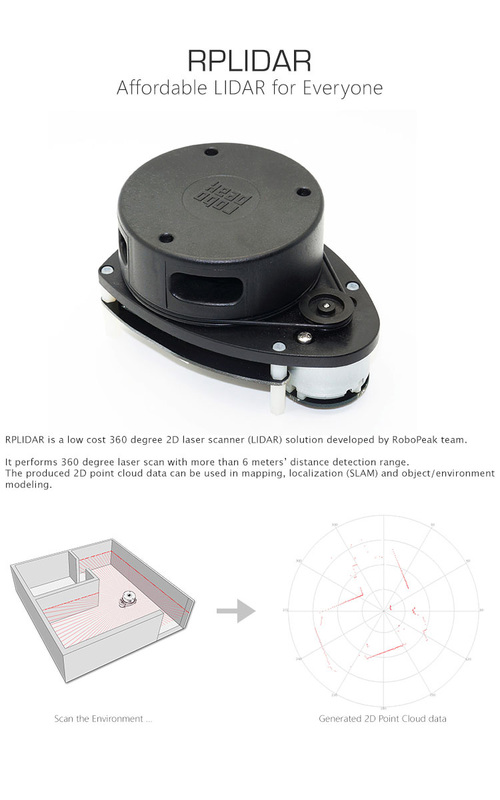 This 360 Degree Laser Scanner Development Kit (RPLIDAR) is a low cost 360 degree 2D laser scanner (LIDAR) solution developed. 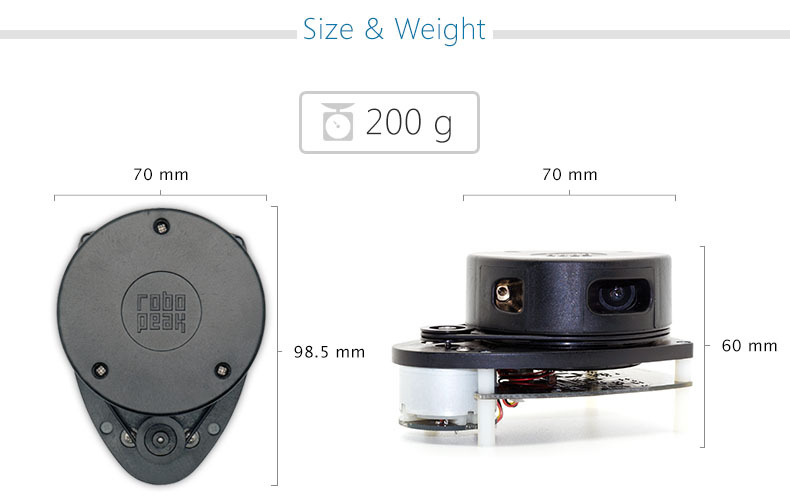 The system can perform 360 degree scan within 6 meter range.